Blog brings you fun ideas for planning your next vacation. Explore some of the most travel destinations in Europe. There are many things to see and do in Denmark. This list will help make sure you don't miss the most charming attractions this country has to offer. Denmark is a magical city filled with history, castles, museums and gardens. There is so much to see and do in this Scandinavian country, that you might find you have run out of time to see all that Denmark has to offer. There are some things that simply must make it on your itinerary. While no list could be exhaustive when planning your stay, the following things to see and do are some of the most charming and are guaranteed to create memories that will last a lifetime. More than just a garden, Trivoli Gardens is an amusement park as well and a must see in Copenhagen, Denmark’s capital city. You will need to plan a whole day to spend at Trivoli. Opened in 1843, it boasts more than 400,000 flowers, 100,000 lamps, 30 restaurants, two theatrical shows a day, concerts and dozens of rides. Don’t forget that Wednesday and Friday there are fireworks at night as well. It has been hailed as one of the most romantic places at night as the lamps provide a charming glow about the gardens. The home of Queen Margrethe II, Amalienborg Palace is actually made up of four castles. They are Moltkes Palace, the Schackske Palace, the Levetzaus Palace and the Brockdorfske Palace. In the center sits a statue of King Frederik V on horseback. While visiting you must plan to be there at noon for the Changing of the Guards. Some of the private and official rooms of the palace are open to visitors as well as the square and gardens. You can always tell if the Queen is home as she flies her colors with her royal coat of arms. If you happen to be planning your trip in the spring you will find that the Danish citizens gather April 16th in the square to celebrate the Queens birthday. One of the best ways to see the fairy tale city of Copenhagen is by a canal tour. You will glide past the finest architecture of the city including towers, churches and castles on your hour long tour. You will also get a glimpse of the Little Mermaid statue which is next on our list. The boats are heated and leave from Nyhavn Canal between 10 am and 5 pm. 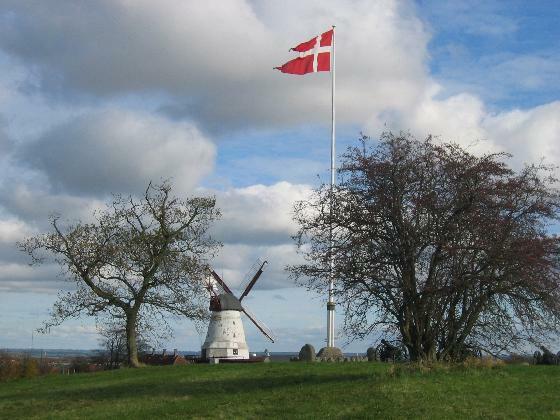 This small statue is called the National Symbol of Denmark and is one of Denmark’s biggest tourist attractions. The statue is of course inspired by the story written by famous Danish poet Hans Christian Andersen. The statue was donated to The Royal Theater by Carl Jacobsen who commissioned sculptor Edvard Eriksen to sculpt her. Originally Jacobsen was to donate a fountain but after seeing the ballet rendition of The Little Mermaid at The Royal Theatre, he was so taken with dancer Ellen Price, who portrayed The Little Mermaid, that he asked her to pose for the statue that bears her face today. If you only had time for one castle during your trip this is the one to see. The 16th century renaissance castle looks to be straight from a fairy tale with its towering spires and fortress walls. It spans no less then three islands on Castle Lake. The castle entrance boasts a statue of Neptune atop a glorious fountain. Once known as the summer house of Denmark’s royal family, it now houses a national museum. If you want to spend some time shopping in Denmark you must visit Stroget Pedestrian Mall. It is a mile long and considered the world’s largest pedestrian mall. It contains shops, restaurants, sculptures and fountains. You will no doubt find what you are looking for here. When looking at this church near the dunes in Skagen, you might wonder what all the fuss is about. What you will see is a white church of the Sct. Laurentius parish however, this is but the bell tower. The rest of the huge church was buried beneath a sand drift. It was torn down in 1810 but the tower remains as well as some of the remnants under ground. It is a breathtaking example of the power of the migrating sand dunes of Denmark. This tower was built in 1642 as part of King Christian IV’s Trinity complex for the scholars of the seventeenth century. It includes an astronomical observatory, a university library and a church. The attraction to Round Tower today is the view from the roof. You can reach the top by a cobblestone ramp that winds inside. It is Europe’s oldest still functioning observatory and is open for the public to use its telescope. If art is up you alley, visit Charlottenborg Palace. The palace was built in 1683 for Ulrik Frederik Gyldenlove and was then bought by Queen Dowager Charlotte Amalie giving it its current name. Charlottenborg is now the Royal Danish Academy of Art, and also a library. The palace is where the regions artists hold their exhibitions. This Dutch renaissance castle was built in 1624 by King Christian IV as a summer house. It holds the royal collection of interiors, crafts and portraits all the way from Christian IV to Fredrik VII. It is also home to the country’s oldest garden, also known as the King's Garden. There are many other wonderful sights to see in Denmark, but I know that this list will get you started in planning an unforgettable trip to this most magnificent country. Copyright 2010 European Destinations and Attractions.